Most of us American based engineers have used, or are at least aware of, McMaster-Carr. If you haven't heard of them, they are a one stop shop for everything from nuts and bolts to urinals, and just about everything in between. And not only can you get just about anything, you can get it as quickly as the same day! 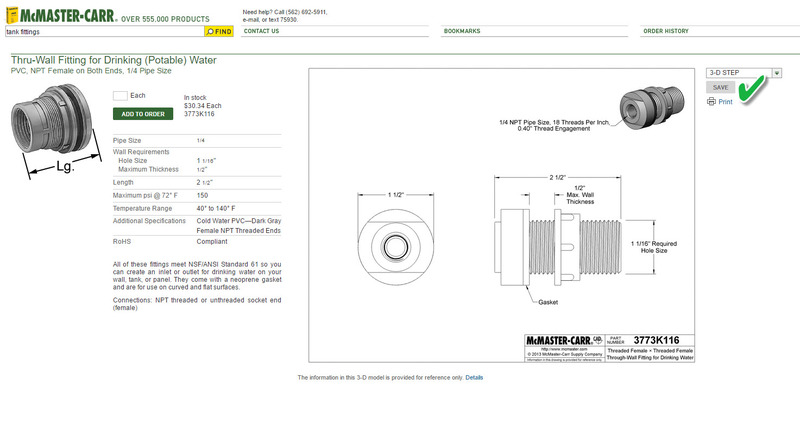 McMaster-Carr has saved the day, on the same day, more than once for me! Now if you're a "well seasoned" engineer, such as myself, you might remember when the only way to look at McMaster-Carr's selection was a big yellow book that guaranteed about 50% odds of muscle sprain when lifting from the shelf to the desk. Then you had to pick up a phone, which was most likely wired to the wall, and talk to a human being. That was the state of the art of 1998.
workout implement, and potential zombie apocalypse weapon. 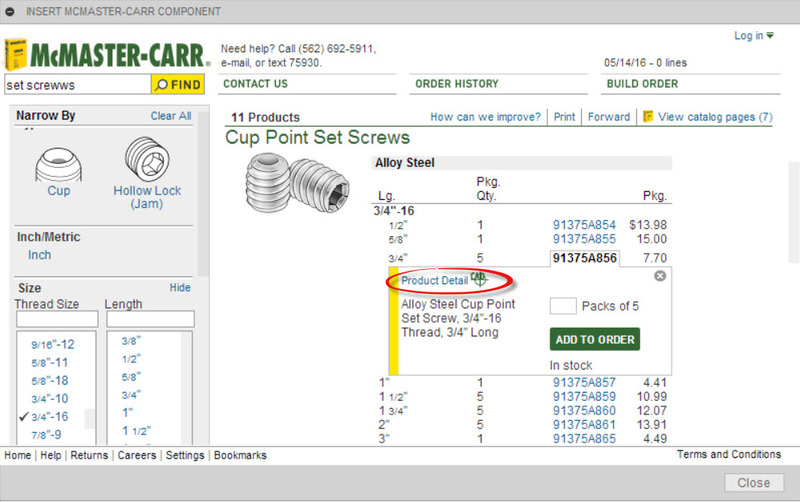 Then, in the 1990s, we began becoming aware of this thing called the internet, and McMaster-Carr got a website. Engineers everywhere rejoiced. Now there was no risk of physical injury, and we could order the parts we needed while still tanning by the light of our old cathode ray tube monitors. Now engineers could spend money on expensive mechanical gadgets faster and more efficiently! And many parts had models that could be downloaded and imported into your CAD models! They've even recently come up with an app for Android and iPhone, that lets you purchase your items using your mobile device. It's perfect for us introvert engineers that don't feel like talking to people! Earlier this week, I attended an Autodesk Fusion 360 event at Hollywood 3D Printing, where I got to meet, other Fusion 360 users, and see how those users are using the new technology. And while there were many interesting things, one feature caught my eye. 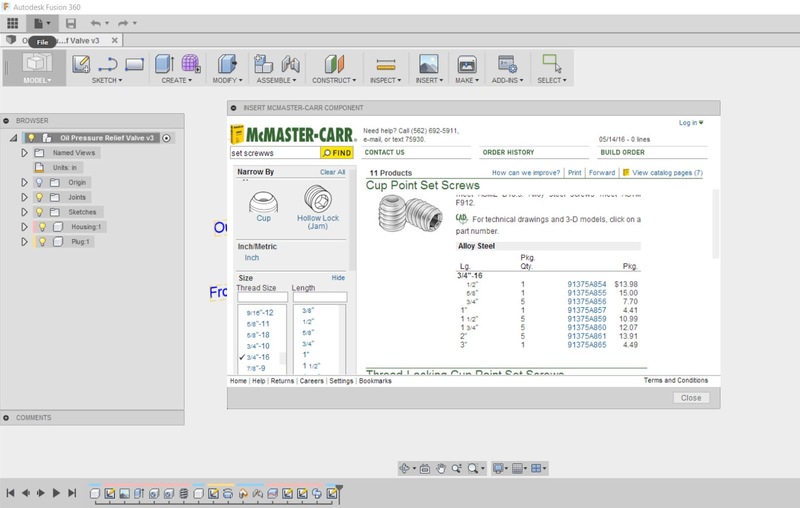 A direct link to McMaster-Carr right inside of Fusion 360. Here's how it works. 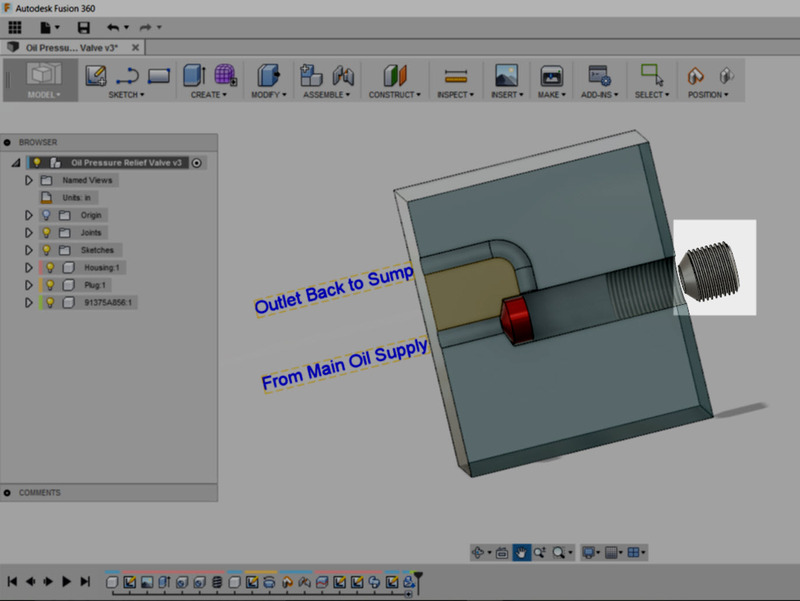 I'm using a simple example of an oil pressure relief valve that I was modeling for a little Fusion 360 practice. I've modeled a body that would represent the engine case, as well as the poppet in red. But I need two things, a spring, and a set screw to hold the spring in. 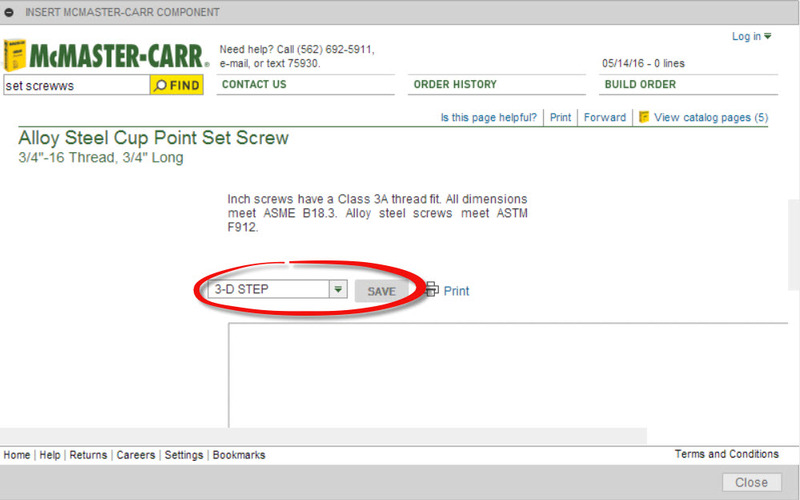 Instead of creating models, I'm going to insert them from McMaster-Carr. 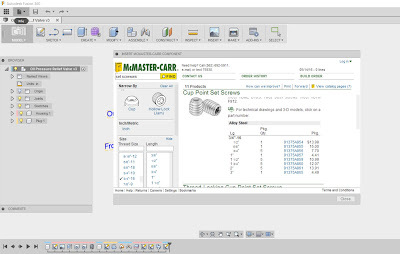 First locate Insert McMaster-Carr Component Component from Fusion 360's Insert Menu. Locating the shortcut to McMaster-Carr. 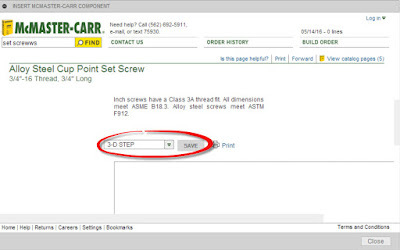 When you choose that option, Fusion 360 will open the McMaster-Carr website. 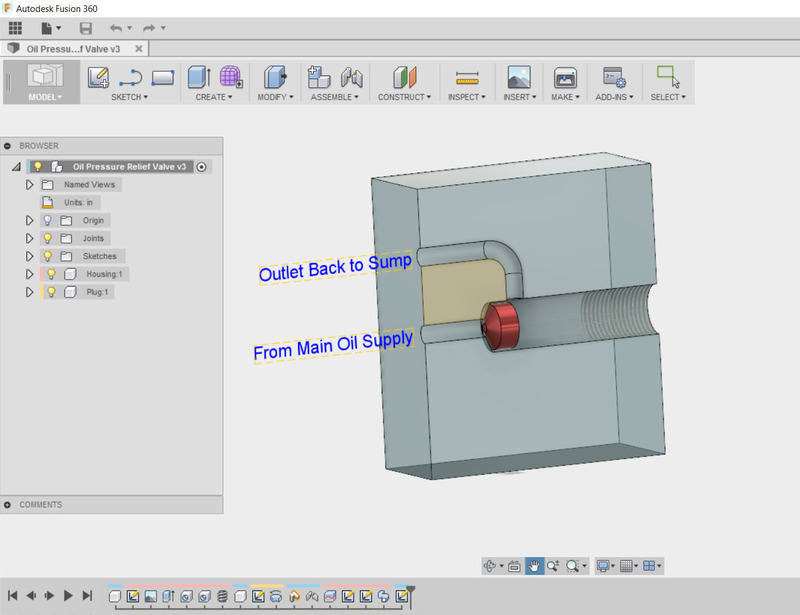 But the key is it will open inside of Fusion 360! Now it's just a matter of finding what you want, choosing the CAD icon, and downloading the model. 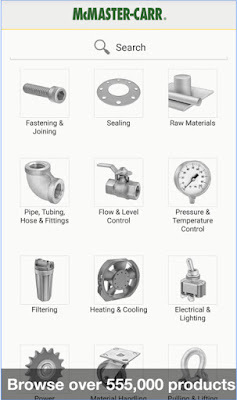 Choosing a CAD model from the catalog. But the key is that it downloads right into Fusion 360! Choosing the Save will insert the model directly into the Fusion 360 model without having to downloading to a location and import, like we've had to do in the past. Now the model can be inserted and constrained like any component. Just add the spring, and the model is done! 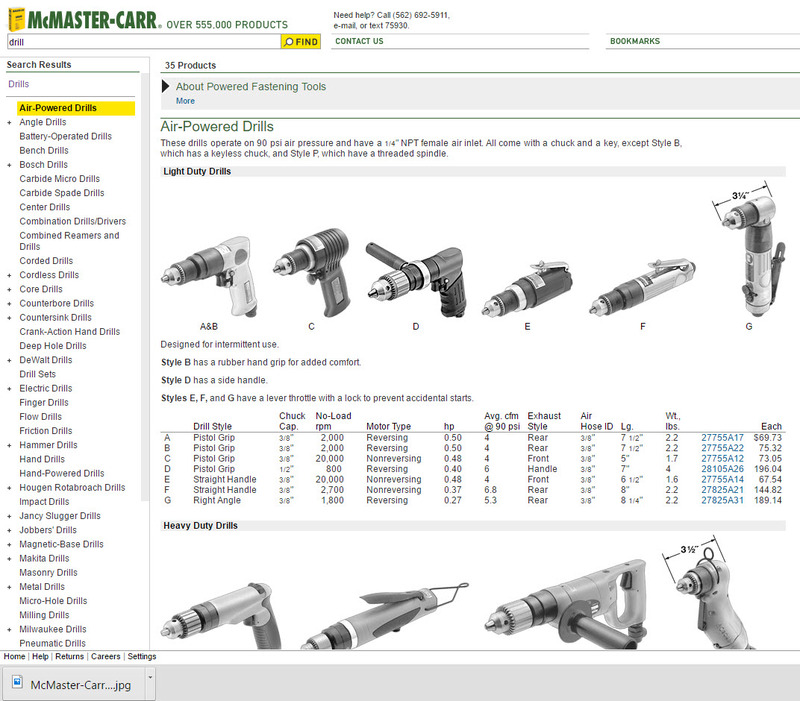 By using the catalog from McMaster-Carr, the parts I can quickly import parts that I know I can order! What's another bonus? 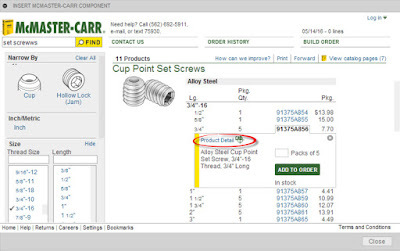 When you create a bill of materials, you get the part numbers, as well as the descriptions for those parts. That means no retyping of component descriptions and reduced risk of making a mistake. 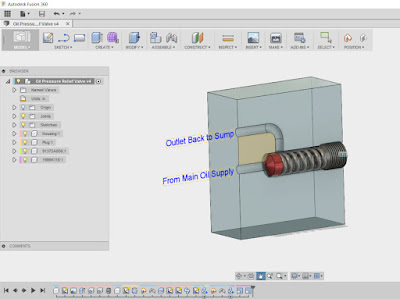 So if you're using Fusion 360, or thinking about it, take a look at this functionality. I think it's one you'll find is well worth it. And I'd also encourage you to take a moment to think how far technology has come. 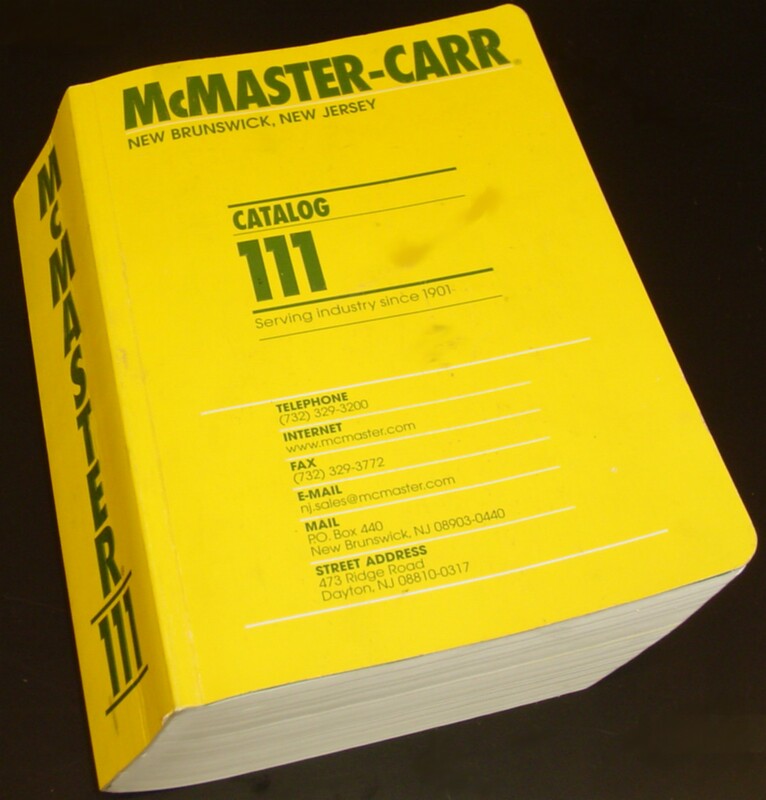 It was less than 20 years ago that I was writing down numbers out of a catalog, calling an operator at McMaster-Carr, and reciting numbers over the phone. 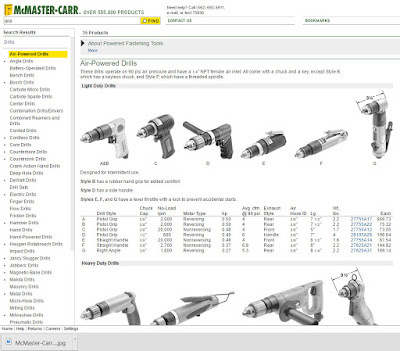 Now, it can be inserted directly into your 3D with models from the McMaster-Carr website, where part numbers and descriptions automatically populate your bill of materials, and ordered via the website. How far we've come in a very short time. And if you'd like to see a few pictures I took at the Fusion 360 event, check out this link! I was equally excited to find this feature! I was hoping to see more companies add their names to the Fusion 360 insert component option.